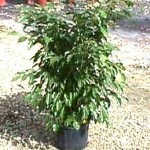 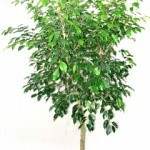 Ficus is a genus of about 850 species. 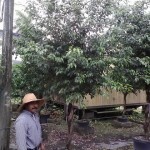 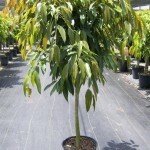 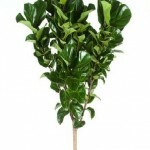 Ficus trees are a common plant in the home and office, mainly due to the fact that they look like a typical tree with a single trunk and a spreading canopy. 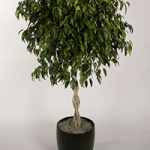 But for all of their popularity, some ficus varieties are finiky. 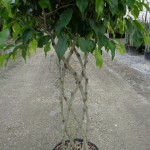 Ficus trees can maintain their tree-like shape regardless of their size, so this makes them ideal for bonsais or for massive houseplants in large spaces. 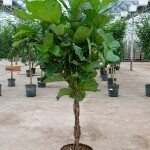 Ficus trees also cannot tolerate low temperatures or drafts. 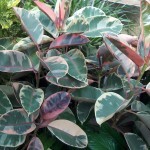 They need to be kept in temperatures above 60 F. (16 C.) and actually prefer temperatures above 70 F. (21 C.). 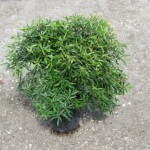 Cold drafts from windows or doors will harm them, so make sure to place them somewhere where drafts will not be an issue.